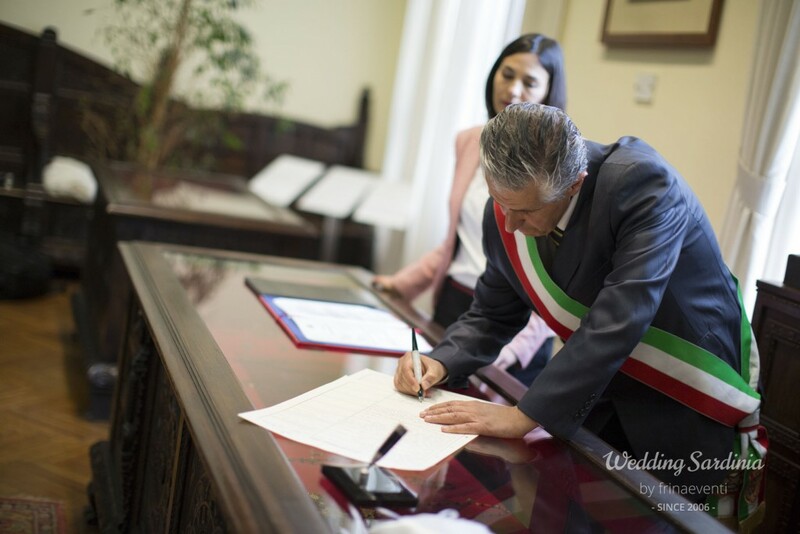 We can organize civil ceremonies in Sardinia for any nationality as we are specialised in the legal procedures and we are in contact with Embassies, Consulates and Local Administrations. 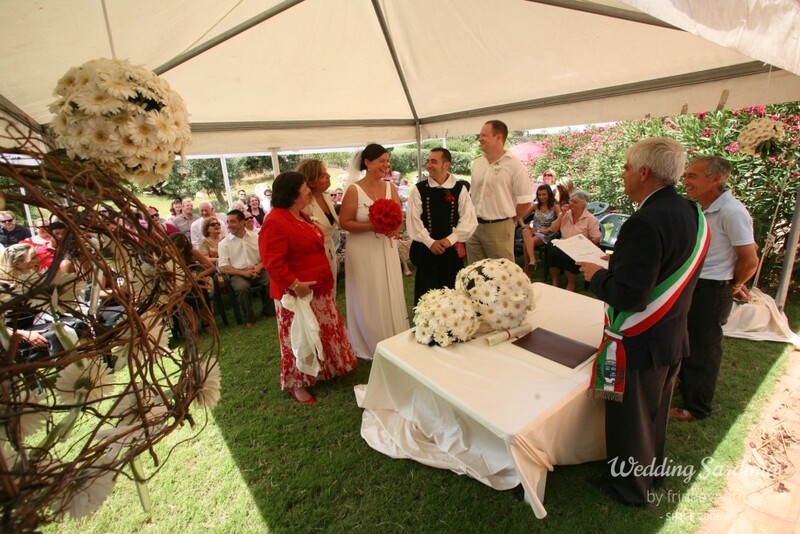 Civil ceremonies celebrated in Sardinia have legal value in Italy and throughout the world. There is no residency requirement to marry in Sardinia. 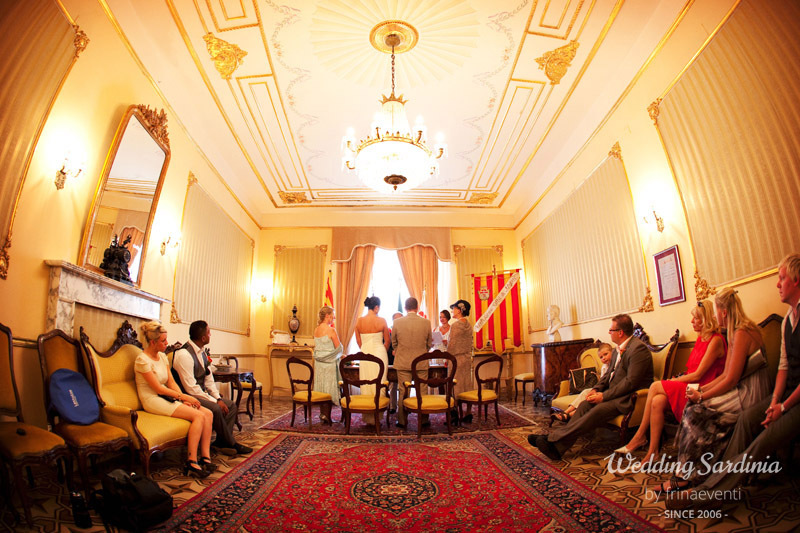 This allows you to tie the knot and honeymoon in any location without bureaucratic delays. 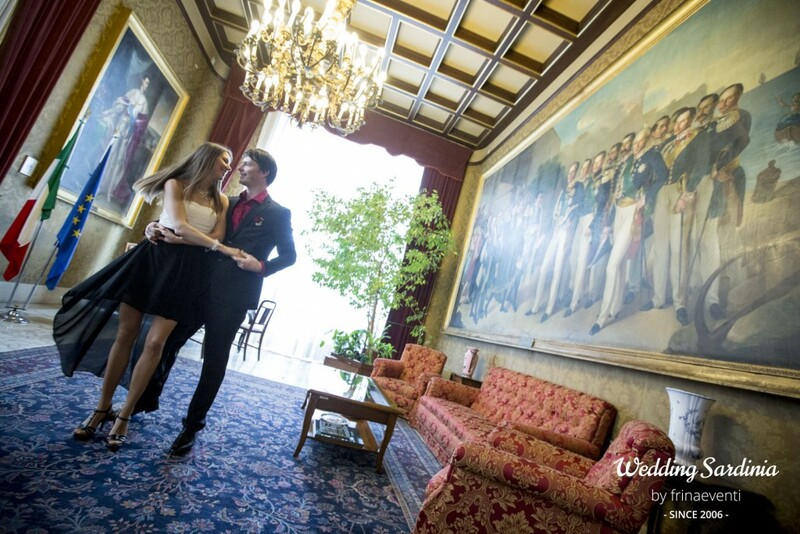 In some cases you can arrive and marry within the same day. Civil ceremonies in Sardinia are performed in Italian by the Mayor or a civil registrar and require an offical interpreter and two witnesses (one for each of you). 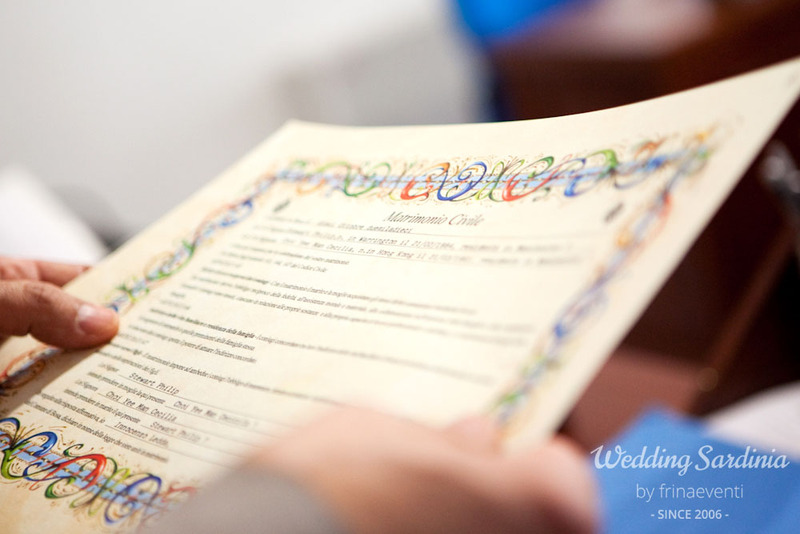 The reading of the civil vows is about 15 to 20 minutes long. 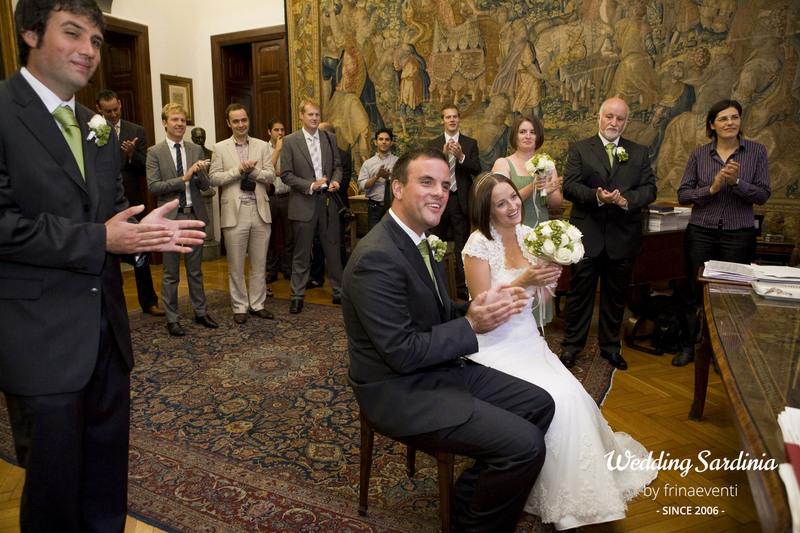 In Sardinia the number of places in which is possible to have a civil ceremony is growing rapidly due to the high demand of discerning couples wanting to get married in beautiful places. Most of these places are local town halls but others are strikingly unusual like a lighthouse on a small island, a medieval fortress by the sea or a panoramic Spanish tower. 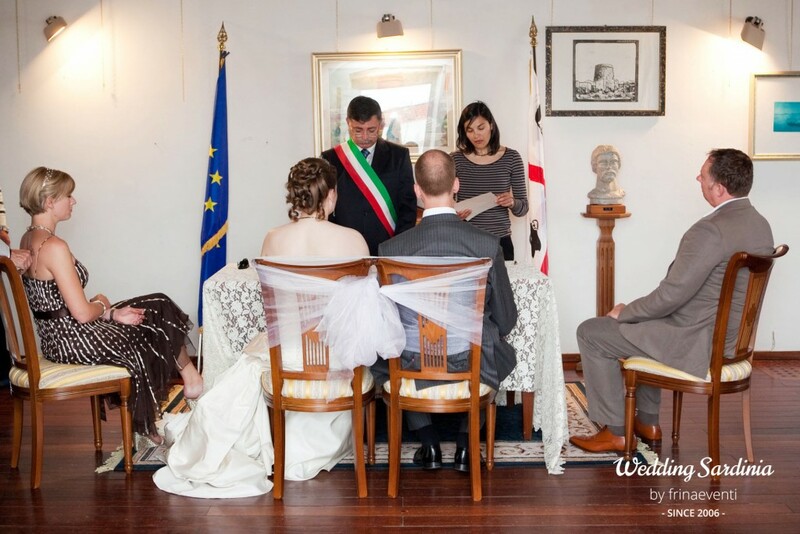 Finally, it is also possible to get married on the beach in Sardinia but only in a few towns like for example Pula and Carloforte. To find out more detailed information about civil ceremonies location and prices, please contact our wedding planner.